Erodium x kolbianum Natacha grows in neat clumps with silvery grey ferny foliage. 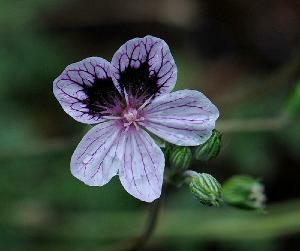 During the summer it produces masses of light pink flowers with blackish coloured eyes. Prefers well drained soil in full sun and grows to a height of 15cm.